Napa Valley, California. 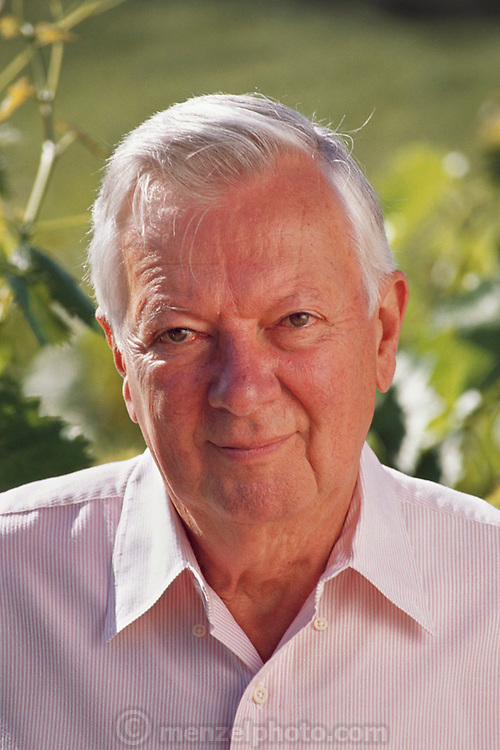 Joe Heitz, founder of Heitz Cellars in 1961. Two of their most well known wines are vineyard designated Cabernet Sauvignons from Martha's Vineyard and Bella Oaks Vineyards. Photographed in one of his vineyards. Photographed in 1989 MODEL RELEASED.